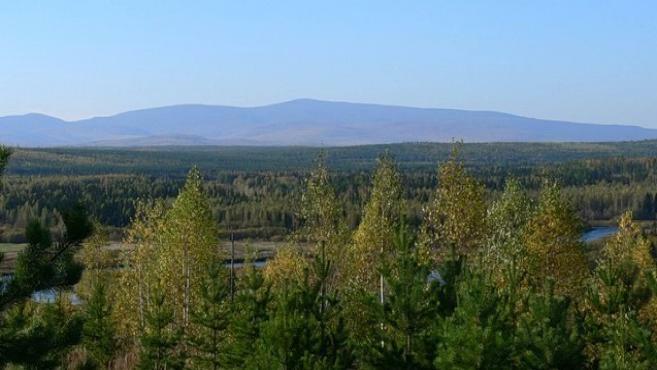 North Urals - a part of the Ural Mountains. It starts from the Kosva Stone and neighboring Konzhakovsky Stone (59 ° N) in the south to the northern slopes of the array Telposiz, or rather, to the river Schuger (Shchugor) in the north. Located in the Republic of Komi. 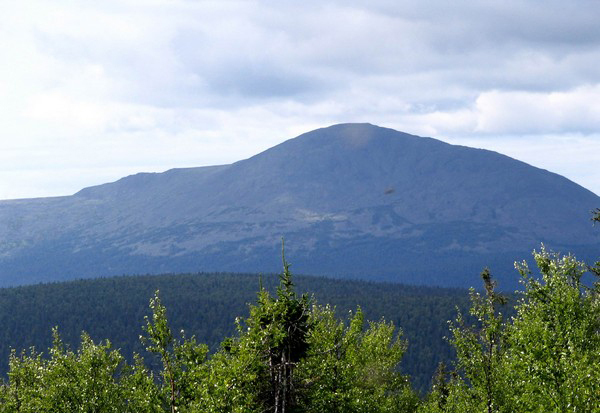 The highest mountain in the Northern Urals. Is the most difficult of the mountain, the nearest village is located about 100 km from the mountain. Located on a mountain glacier South. Tourist routes are usually accompanied by river rafting Shchugor. 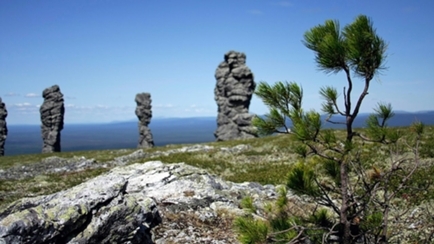 Located on the border of the Perm region and the Sverdlovsk region, in Vishera reserve. 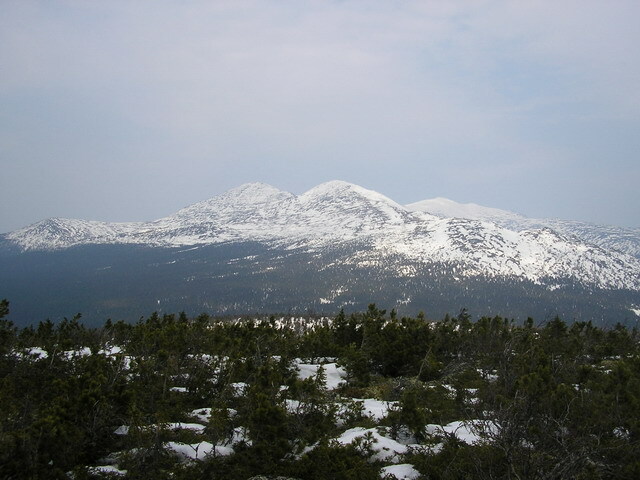 The highest point - Mount Oykachahl (1229m) and Ekvachahl (1322m). In the north-east. Chapter slopes. vertices marked trail and cirque cirque-valley glaciation. Slopes to a height of 680-700 meters above sea level, covered with spruce-fir forests with cedar. 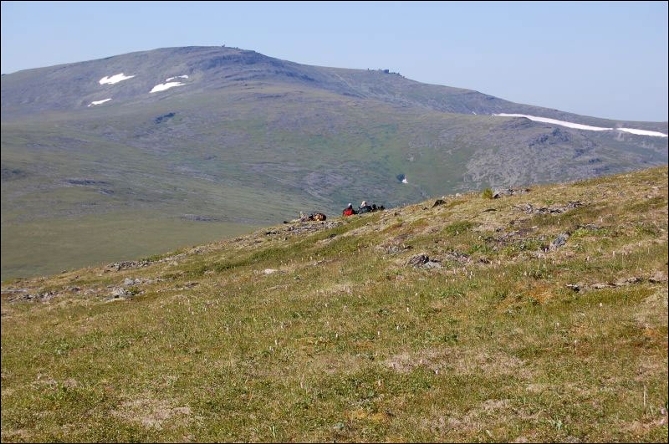 Above dominated by crooked birch and mountain-tundra plant communities. Is a little-visited object. Located in Severouralsk area of the Sverdlovsk region. Located on the reserve "Denezhkin stone." Permission to enter the territory of the reserve can be obtained by having a good reason. Located on the border of the Sverdlovsk region and the Republic of Komi. The name translates as "Do not go there." For mansi people it was sacred. Women on the mountain is not allowed. And those who managed to climb up, drowned in the lake Lunthusaptur. The last woman he drowned in the lake, was a woman geologist in the 20 years of the twentieth century. Is a popular destination for many hikes. Located in the Republic of Komi. 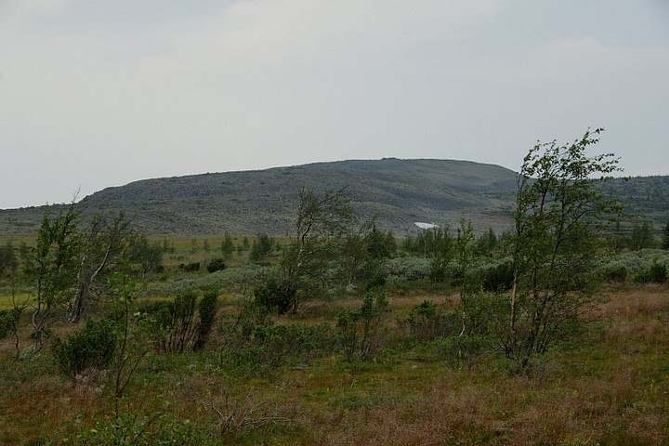 Consists of a ridge with rocks, outcrops on top. Located on the borders of the Sverdlovsk Region, the Republic of Komi and Khanty-Mansiysk. Is the northernmost geographical point of Sverdlovsk region. Located on the watershed ridge in the Stone Ridge Poyasovy. Serves as the boundary between Europe and Asia, and two watershed basins - the Pechora and Ob (Lozvy and North Sos'va). Located in the Republic of Komi. Translated from the Mansi language means "drum." It is located in the Sverdlovsk region, not far from the border with the Perm region. Gore is famous place Tract Dyatlov Pass, got its name because of the events there in February 1959. The name of the mountain is translated as "Mountain of dead." 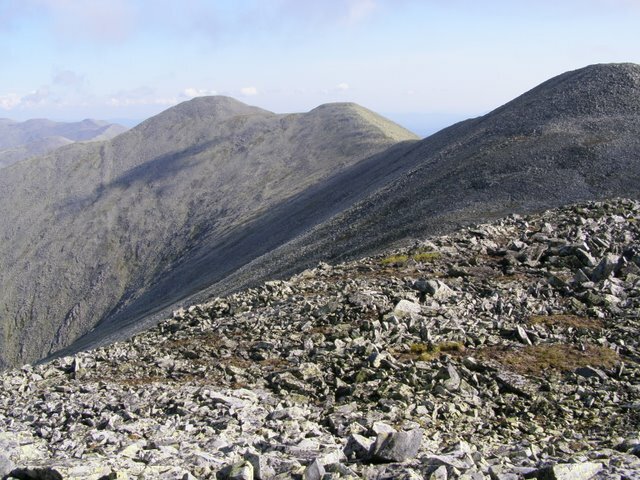 Is a popular hiking destination. Until the early 1990s, on the flat top of a mountain located to the defense (radar). Remained the foundation of the dome and the remains of outbuildings. On the part of the village to the top of Ushmaev led cross-country road, but to find the beginning of the road is extremely difficult: the military initially built road so to find it was not so easy. Chistop Mountain - sacred to Mansi. According to legend, during the Flood, on the mountain were rescued five families who were the ancestors of many thousands of people. Located on the territory of the reserve Vishera in the Perm region. Located next to the ridge Molebny stone. Located on the territory of the reserve Vishera in the Perm region. Length range of 35 kilometers. Located in the Perm region. It is also called small Manaraga. 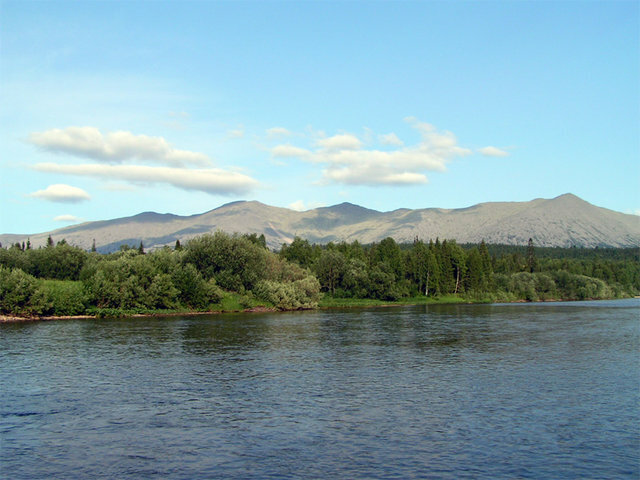 Located on the border of the Perm region and the Sverdlovsk region. Stretches from south to north. The highest point - Mount Humboldt (1410m). Situated in the Perm region. 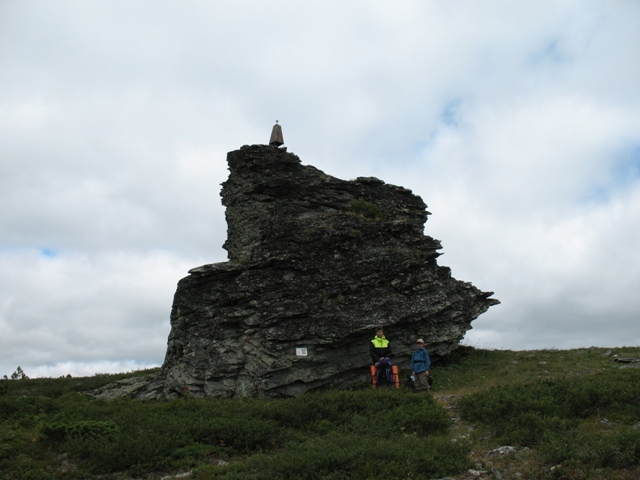 The highest point - Mount Vogulsky Stone (1066m). On the ridge hosted many rivers, including the River Zhigalan. The river itself is not how it is attractive, it falls apart, which is a popular tourist destination. 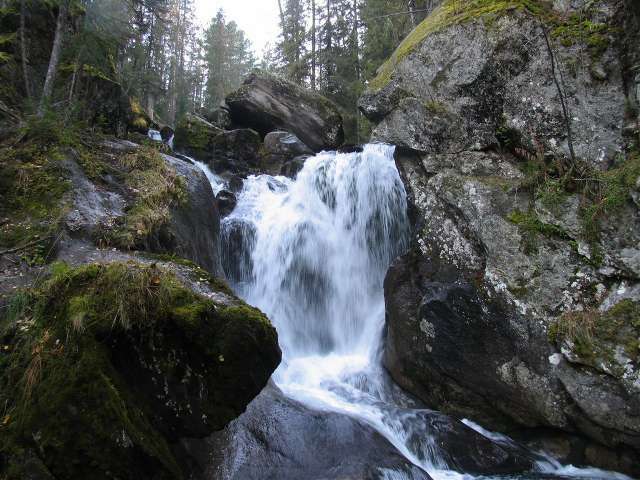 Usually when people visit Kvarkush or Main Ural Mountains, and then drop into the waterfall. It is located in the Sverdlovsk region in Karpinsk area. 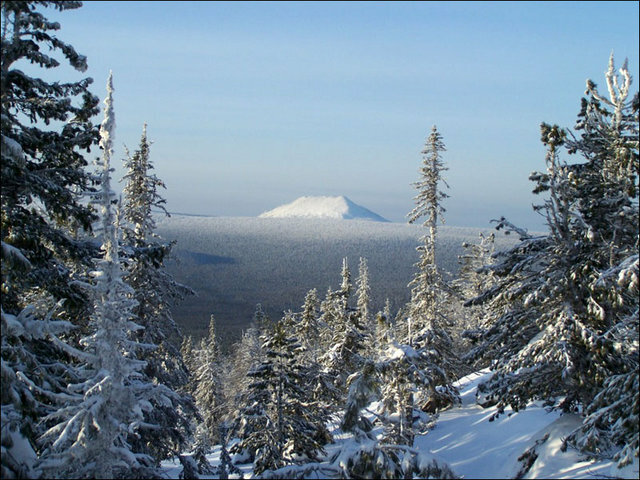 The highest peak of the Sverdlovsk region. Popular among tourists. Konzhakovsky array consists of: Konzhakovsky stone, stone Serebryanskii (1305m), the Trapeze (1253 m), the Southern Job (1311 m), the Northern Job (1263 m), the Tylaysky Stone (1471 m), g . Acute Kosva (1403 m). 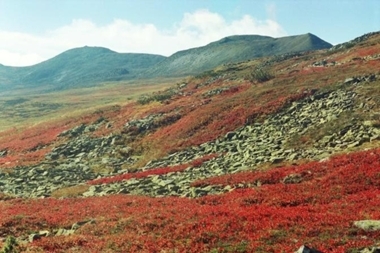 In July, the annual International Mountain Marathon, in November Festival "Konzhak." It is located in the Sverdlovsk region in Karpinsk area not far from the village Kytlym. Is the command center control SRF. 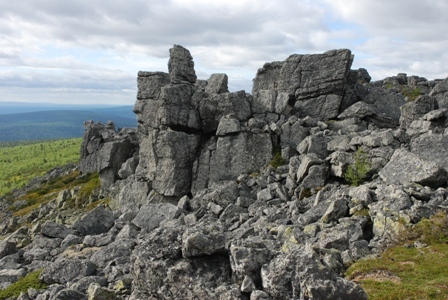 The climate of the Northern Urals is continental, with long harsh winters and short, cool summers. Spring is longer than the fall, since the transition from winter to summer is usually accompanied by frequent returns of colds. 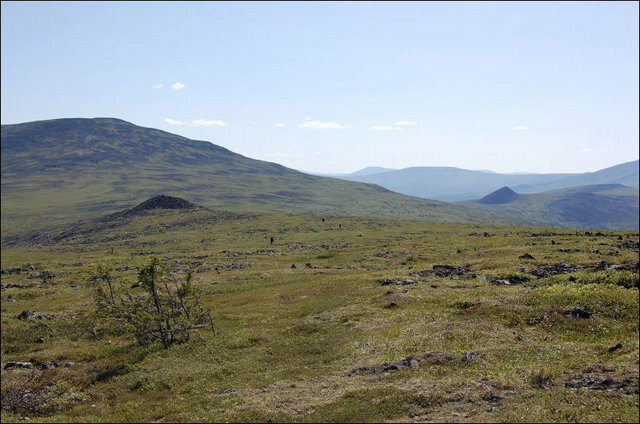 Overall severity of the climate of the Northern Urals due to high-latitude geographical location, large absolute and relative height and width of the mountain area, deep and complex dismembering her. This defines the character of a typical mountain climate with a vertical change of climatic zones and the significant variability of air temperature, rainfall and wind speeds over short distances. Significant impact on the climate is also meridional elongation of the Northern Urals across to the prevailing wind direction (west to east), which accounts for the difference in the climatic conditions of the European and Asian part of the Urals, especially with regard to the distribution of rainfall. Precipitation in the Northern Urals falls a lot: in most areas of the western slope of the sublime - from 1000 to 1200 mm per year, the east-to 700 mm. On the plains of rainfall is reduced to 400-600 mm. Most of the precipitation (2/3) falls in the spring, summer and fall, the rest of the winter. 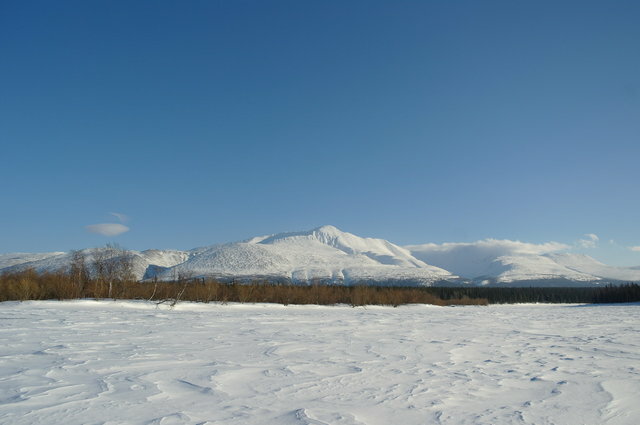 Winter with negative average daily air temperatures and snow on the surrounding plains to the North Urals lasts an average of about 7 months and 8 to 9 months in the mountains (above 1,000 m). On the plains of steady snow usually falls in the third week of October and is coming off in the middle of May, the snow-clad mountains as early as mid-September, and the snow kept on them until mid-June. At an early winter snow covers the plains almost a month earlier (in late September), and when the spring is late for 2 weeks longer than usual (until the end of May). Conversely, prolonged autumn winter comes only in the middle of November and in early spring, snow melts at 3 weeks earlier than usual (end of April). The height and density of the snow cover in the mountains and on the plains of Northern Urals are different. In the forest, west of the ridge, December - deep winter. The height of snow cover reaches 50-70 cm snow still loose (the density of 0.18-0.20 g/cm3), skiing in it deeply fail. On the broad paws spruce and fir trees hang thick cushion of snow, snow and fallen trees are brought windfall, frost-bound marshes and rivers. 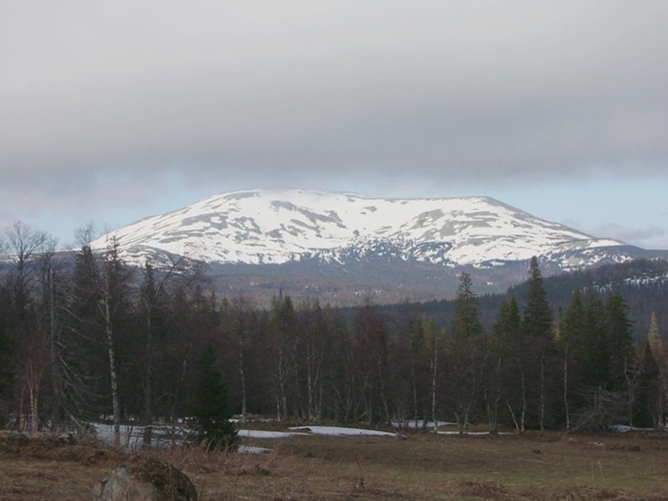 In March, the forest has already meter drifts, with the rise in the mountain snow depth gradually increases (an average of 60-70 cm at 100 m altitude) and the timber reaches 2-3 meters in some places By this time the snow in the forest becomes more dense (0,25-0,28 g/cm3), skiing less fail, and go much more easily than in the first months of winter. Above the forest the snow depth is reduced to a few tens of centimeters, as snow is blown by strong winds in the valley and to the edge of the forest, the wind through the snow surface becomes so dense (density in the barren zone of greater than 0.40 g/cm3), which will safely support the severity of the skier. 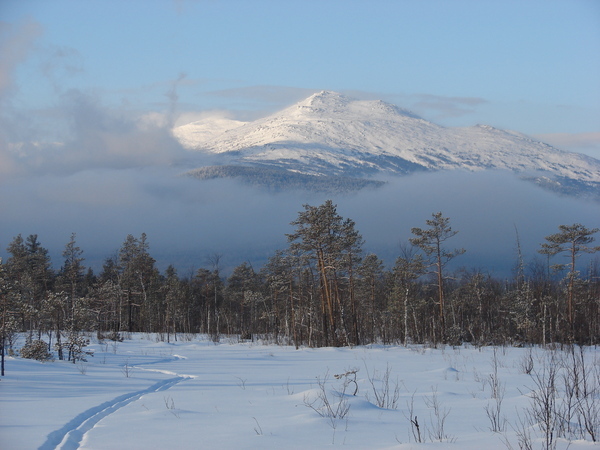 To the east of the ridge of snow is small, it is more lax than in the Urals, and even in March, when the taiga deepest drifts, the snow depth reaches normally only 50-60 cm of snow in winter with little snow is so small that the forest can be walk without skis. The coldest month of winter in the Northern Urals-January with an average temperature of minus 19-22 ° and minimum minus 50-54 °; east ridge winter is colder than the west. Almost as cold weather is in December and February: The average temperature of these months is nowhere higher than minus 15-17 °, and in the coldest winters column of alcohol in the thermometer sometimes falls to minus 48-53 °. On clear freezing days for the high areas of the Urals is characterized by a temperature inversion, when on the ridges is at 5-10 ° warmer than the surrounding plains. On the other hand, on cloudy days, with the wind and snowfall in the plains around 5 ° warmer than in the highlands (above 1,000 m). Winter days in the Northern Urals is short: in December and January, the length of daylight hours only 6-7 hours. For daytime transitions tourists charges and devices morning camp for the night this time, of course, is not enough. But you can go and after sunset. In clear weather, the dark sky lit bright stars. Flickering light illuminates their weak wood. When the moon rises, the taiga is illuminated by a bright blue light and the snow begins to glow phosphorescent glow. The forest is at once light, and the group can continue.